The garden and the rear of this beautiful house overlook the river near Putney Bridge, perfect viewing for the Boat Race. The owners approached us as they had seen a project they really admired of ours in Lyford Road in Wandsworth. 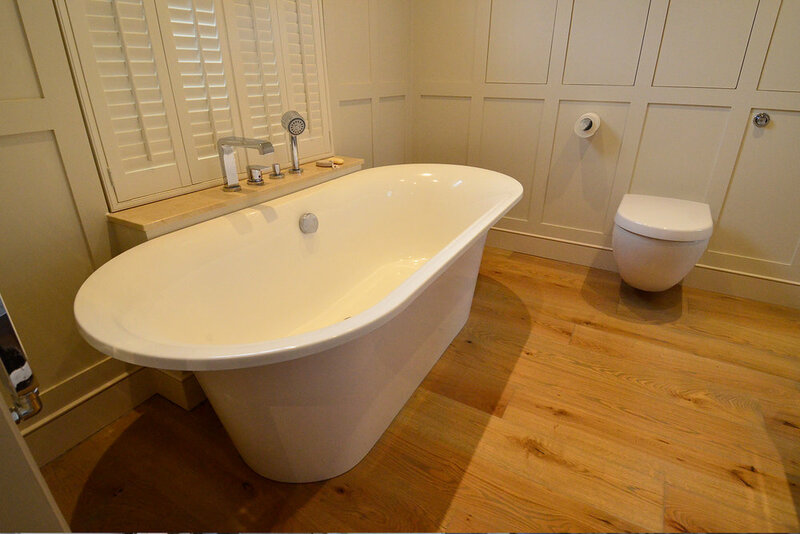 The whole house was refurbished to a very high standard with contemporary bathrooms, a fabulous kitchen and large lantern. We love the hidden storage in the bathroom. Architecture by RBD. Interiors by the client and RBD.